Julian Cheng received a B. Eng. Degree (First Class) in electrical engineering from the University of Victoria, Victoria, BC, Canada in 1995, a M.Sc. (Eng.) degree in mathematics and engineering from Queen’s University, Kingston, ON, Canada in 1997, and a PhD degree in electrical engineering from the University of Alberta, Edmonton, AB, Canada, in 2003. In July 2006, He joined the School of Engineering, Faculty of Applied Science, The University of British Columbia (Okanagan campus) as an Assistant Professor. He is now a Full Professor in the same School. Previously, Dr. Cheng worked for Bell Northern Research (BNR) and Northern Telecom (later known as NORTEL Networks), and taught at both University of Alberta and Lakehead University. His current research interests include digital communications over wireless channels, orthogonal frequency division multiplexing, spread spectrum communications, statistical signal processing for wireless applications, and optical wireless communications. Dr. Cheng co-chaired the 12th Canadian Workshop on Information Theory (CWIT 2011), the 6th EAI International Conference on Game Theory for Networks (GameNet 2016), and the 28th Biennial Symposium on Communications (BSC 2016). In 2012, he chaired the 2012 Wireless Communications, which was held July 3-5, 2012 in Banff, Canada. Currently, he serves as an Area Editor for IEEE Transactions on Communications. In the past, he severed as an Editor for IEEE Transactions on Communications, IEEE Transactions on Wireless Communications, IEEE Communications Letters, and IEEE Access. He also served as a Guest Editor for a special issue of IEEE Journal on Selected Areas in Communications on optical wireless communications. Dr. Cheng is also a Senior Member of IEEE. Dr. Cheng was the recipient of numerous scholarships during his undergraduate and graduate studies, which included a President Scholarship from the University of Victoria and a postgraduate scholarship from the Natural Sciences and Engineering Research Council of Canada (NSERC). He was also a winner of the 2002 NSERC Postdoctoral Fellowship competition. 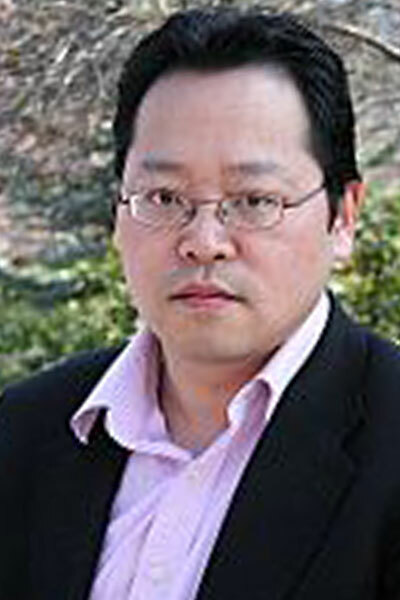 Dr. Cheng held an Adjunct Professor position with the University of Alberta (2005-2010). He is a registered Professional Engineer in British Columbia. Dr. Cheng was also the founding chair of IEEE Okanagan Subsection. Currently, he is serving as the President for the Canadian Society of Information Theory (CSIT) as well as the Secretary of Radio Communication Committee (RCC) of IEEE Communications Society. Note: Trainees under my official supervision are in boldface. Dawei Wang, Woping Xu, Xingjie Fan, and Julian Cheng, “Privacy Preserving With Adaptive Link Selection for Hybrid Radio-Frequency and Free Space Optical Networks,” Accepted on January 18, 2019, for publication in OSA Optics Express. Dongming Li, Dengyin Zhang, and Julian Cheng, “Degrees of Freedom for Half-Duplex and Full-Duplex Cognitive Radios,” Accepted on January 16, 2019, for publication in IEEE Transactions on Vehicular Technology. Dongming Li, Dengyin Zhang, and Julian Cheng, “A Novel Polarization Enabled Full-Duplex Hybrid Spectrum Sharing Scheme for Cognitive Radios,” Accepted on January 15, 2019, for publication in IEEE Communications Letters. Tianfeng Wu, Jianshe Ma, Renzhi Yuan, Ping Su, and Julian Cheng, “Single-Scatter Model for Short-Range Ultraviolet Communication in a Narrow Beam Case,” Accepted on January 4, 2019, for publication in IEEE Photonic Technology Letters. Zoheb Hassan, Md. Jahangir Hossain, Julian Cheng, and Victor C. M. Leung, “Joint FSO Fronthaul and Millimeter-Wave Access Link Optimization in Cloud Small Cell Networks: A Statistical-QoS Aware Approach,” Accepted on January 3, 2019, for publication in IEEE Transactions on Communications. Dongming Li, Julian Cheng, and Victor C. M. Leung, “Polarization Jones Vector Distance Statistics Based Full-Duplex Primary Signal Extraction for Cognitive Radios,” Accepted on December 22, 2018, for publication in IEEE Transactions on Communications. Tianfeng Wu, Jianshe Ma, Ping Su, Renzhi Yuan, and Julian Cheng, “Modeling of Short-Range Ultraviolet Communication Channel Based on Spherical Coordinate System” Accepted on December 23, 2018, for publication in IEEE Communications Letters. Fang Fang, Julian Cheng, and Zhiguo Ding, “Joint Energy-Efficient Subchannel and Power Optimization for a Downlink NOMA Heterogeneous Network,” Accepted on October 11, 2018, for publication in IEEE Transactions on Vehicular Technology. Hao Li, Julian Cheng, Zhigang Wang, and Houjun Wang, “Joint Antenna Selection and Power Allocation for an Energy-Efficient Massive MIMO System,” Accepted on September 3, 2018, for publication in IEEE Wireless Communications Letters. Rui Tang, Julian Cheng, and Zhaoxin Cao, “Contract-Based Incentive Mechanism for Cooperative NOMA Systems,” IEEE Communications Letters, vol. 23, no. 1, pp. 172-175, January 2019. Jiangbo Si, Zan Li, Julian Cheng, and Caijun Zhong, “Secrecy Performance of Diversity Receptions Over Correlated Rayleigh Fading Channels,” IEEE Transactions on Wireless Communications, vol. 18, no. 1, pp. 444-458, January 2019. Yanjie Dong, Md. Jahangir Hossain, Julian Cheng, and Victor C. M. Leung, “Robust Energy Efficient Beamforming in MISOME-SWIPT Systems With Proportional Secrecy Rate,” IEEE Journal on Selected Areas in Communications, 37, no. 1, pp. 202-215, January 2019. Jin-Yuan Wang, Cheng Liu, Jun-Bo Wang, Yongpeng Wu, Min Li, and Julian Cheng, “Physical-Layer Security for Indoor Visible Light Communications: Secrecy Capacity Analysis,” IEEE Transactions on Communications, vol. 66, no. 12, pp. 6423-6436, December 2018. Zhenzhen Hu, Julian Cheng, Zhongpei Zhang, and Yingchang Liang, “Performance Analysis of Collaborative Beamforming With Outdated CSI for Multi-Relay Spectrum Sharing Networks,” IEEE Transactions on Vehicular Technology, vol. 67, no. 12, pp. 11627-11641, December 2018. Rui Tang, Hua Qu, Jihong Zhao, Julian Cheng, and Zhaoxin Cao, “Distributed Resource Allocation for IBFD-Enabled NOMA Systems,” IEEE Communications Letters, vol. 22, no. 11, pp. 2318-2321, November 2018. Dongming Li, Julian Cheng, and Victor Leung, “Adaptive Spectrum Sharing for Half-Duplex and Full-Duplex Cognitive Radios: From the Energy Efficiency Perspective,” IEEE Transactions on Communications, vol. 66, no. 11, pp. 5067-5080, November 2018. Chunpu Wang, Chen Feng, and Julian Cheng, “Distributed Join-the-idle-Queue for Low Latency Cloud Services,” IEEE/ACM Transactions on Networking, vol. 26, no. 5, pp. 2309-2319, October 2018. Ruowen Bai, Zhaocheng Wang, Jiang Rui, and Julian Cheng, “Interleaved DFT- Spread Layered/Enhanced ACO-OFDM for Intensity-Modulated Direct-Detection Systems,” IEEE/OSA Journal of Lightwave Technology, vol. 36, no. 20, pp. 4713-4722, October 2018. Yanjie Dong, Ahmed El Shafie, Md. Jahangir Hossain, Julian Cheng, Naofal Al-Dhahir, and Victor C. M. Leung, “Secure Beamforming in Full-Duplex SWIPT Systems With Multiple Eavesdroppers,” IEEE Transactions on Wireless Communications, vol. 17, no. 10, pp. 6559-6574, October 2018. Hua Fu, Sebastien Roy, and Julian Cheng, “Applying Hankel Expansion to Analyze Performance of Double-Nakagami (Generalized-K) Fading,” IEEE Transactions on Communications, vol. 66, no. 10, pp. 4893-4906, October 2018. Fuhui Zhou, Norman C. Beaulieu, Julian Cheng, Zheng Chu, and Yuhao Wang, “Robust Max-Min Fairness Resource Allocation in Sensing-Based Wideband Cognitive Radio With SWIPT: Imperfect Channel Sensing,” IEEE Systems Journal, vol. 12, no. 3, pp. 2361-2372, September 2018. Mahdi Ben Ghorbel, Brian Berscheid, Ebrahim Bedeer, Md. Jahangir Hossain, Colin Howlett, and Julian Cheng, “On Profile Optimization for DOCSIS 3.1,” IEEE Transactions on Network and Service Management, vol. 15, no. 3, pp. 934-945, September 2018. Zoheb Hassan, Md. Jahangir Hossain, Julian Cheng, and Victor C.M. Leung, “Adaptive Transmission for Coherent OWC With Multiple Parallel Optical Beams,” IEEE Photonic Technology Letters, vol. 30, no. 12, pp. 1119-1122, June 2018. Woping Xu, Ruhe Qiu, and Julian Cheng, “Fair Optimal Resource Allocation for Cognitive Radio Networks With Co-Channel Interference,” IEEE Access, vol. 6, Issue 1, pp. 37418-37429, June 2018. Yanjie Dong, Zoheb Hassan, Julian Cheng, Md. Jahangir Hossain, and Victor C. M. Leung, “An Edge Computing Empowered Radio Access Network With UAV-mounted FSO Fronthaul and Backhaul: Key Challenges and Approaches,” IEEE Wireless Communications, vol. 25, no. 3, pp. 154-160, June 2018. Xin Ge, Xiuhua Li, Hu Jin, Julian Cheng, and Victor C. M. Leung, “Joint User Association and Scheduling for Load Balancing in Heterogeneous Networks,” IEEE Transactions on Wireless Communications, vol. 17, no. 5, pp. 3211-3225, May 2018. Bingcheng Zhu, Zaoquan Zeng, Julian Cheng, and Norman C. Beaulieu, “On the Distribution Function of the Generalized Beckmann Random Variable and Its Applications in Communications,” IEEE Transactions on Communications, vol. 66, no. 5, pp. 2235-2250, May 2018. Haijun Zhang, Fang Fang, Julian Cheng, Wei Wang, Keping Long, and Victor C. M. Leung, “Energy-Efficient Resource Allocation in NOMA Heterogeneous Networks,” IEEE Wireless Communications, vol. 25, pp. 48-53, April 2018. Haijun Zhang, Hao Liu, Julian Cheng, and Victor C. M. Leung, “Downlink Energy Efficiency of Power Allocation and Wireless Backhaul Bandwidth Allocation in Heterogeneous Small Cell Networks,” IEEE Transactions on Communications, vol. 66, no. 4, pp. 1705-1716, April 2018. Haijun Zhang, Na Liu, Keping Long, Julian Cheng, Victor C. M. Leung, and Lajos Hanzo, “Energy Efficient Subchannel and Power Allocation for the Software Defined Heterogeneous VLC and RF Networks,” IEEE Journal on Selected Areas in Communications, vol. 36, no. 3, pp. 658-670, March 2018. Dawei Wang, Pinyi Ren, and Julian Cheng, “Cooperative Secure Communication in Two-Hop Buffer-Aided Networks,” IEEE Transactions on Communications, vol. 66, no. 3, pp. 972-985, March 2018. Zoheb Hassan, Md. Jahangir Hossain, Julian Cheng, and Victor C. M. Leung, “Statistical Delay-QoS Aware Joint Power Adaptation and Transmission Link Selection for Free Space Optic Based Fronthaul Networks,” IEEE Transactions on Communications, vol. 66, no. 3, pp. 1124-1138, March 2018. Haijun Zhang, Jiali Du, Julian Cheng, Keping Long, and Victor C. M. Leung, “Incomplete CSI Based Resource Optimization in SWIPT Enabled Heterogeneous Cloud Small Cell Networks: A Non-cooperative Game Theoretic Approach,” IEEE Transactions on Wireless Communications, vol. 17, no. 3, pp. 1882-1892, March 2018. Zoheb Hassan, Md. Jahangir Hossain, Julian Cheng, and Victor C. M. Leung, “Delay-QoS Aware Adaptive Modulation and Power Allocation for Dual Channel Coherent OWC,” IEEE/OSA Journal of Optical Communications and Networking, vol. 10, no. 3, pp. 138-151, March 2018. Yi Luo, Yan Zheng, Julian Cheng, and Hong-Lin Zhao, “Performance of SWIPT-based Differential AF Relaying Over Nakagami-m Fading Channels With Direct Link,” IEEE Wireless Communications Letters, vol. 7, no. 1, pp. 106-109, February 2018. Bingcheng Zhu, Julian Cheng, Jun Yan, Jinyun Wang, Lenan Wu, and Yongjin Wang “A New Asymptotic Analysis Technique for Outage Probabilities of Diversity Systems Over Correlated Lognormal Fading Channels,” IEEE Transactions on Communications, 66, no. 2, pp. 845-861, February 2018. Hui Ma, Julian Cheng, Xianfu Wang, and Pingming Ma, “Robust MISO Beamforming With Cooperative Jamming for Secure Transmission From Perspectives of QoS and Secrecy Rate,” IEEE Transactions on Communications, vol. 66, no. 2, 767-780, February 2018. Bingcheng Zhu, Julian Cheng, Yongjin Wang, Jun Yan, and Jinyuan Wang, “Three-Dimensional VLC Positioning Based on Angle Difference of Arrival With Arbitrary Titling Angle of Receiver,” IEEE Journals on Selected Areas in Communications, vol. 36, no. 1, pp. 8-22, January 2018. Yanjie Dong, Md. Jahangir Hossain, Julian Cheng, and Victor C. M. Leung, “Dynamic Cross-Layer Beamforming in Hybrid Powered Communication Systems With Harvest-use-Trade Strategy,” IEEE Transactions on Wireless Communications, vol. 16, pp. 8011-8025, December 2017. Hui Ma, Haijun Zhang, Shawn Wang, and Julian Cheng, “Backhaul-Aware User Association and Resource Allocation for Massive MIMO Enabled HetNets,” IEEE Communications Letters, vol. 21, no. 12, pp.2710-2713, December 2017. Dawei Wang, Pinyi Ren, and Julian Cheng, “Cooperative Secure Communication in Two-Hop Buffer-Aided Networks,” IEEE Transactions on Communications, vol. 65, no. 12, pp.5386-5400, December 2017. Xiaoyu Zhou, Gongpu Wang, Yanwen Wang, and Julian Cheng, “An Approximate BER Analysis for Ambient Backscatter Communication System With Tag Selection,” IEEE Access, vol. 5, Issue 1, pp. 22552-22558, December 2017. Fang Fang, Haijun Zhang, Julian Cheng, Sébastien Roy, and Victor C. M. Leung, “Joint User Scheduling and Power Allocation Optimization for Energy Efficient NOMA Systems With Imperfect CSI,” IEEE Journal on Selected Areas in Communications, vol. 35, no. 12, pp. 2874-2885, December 2017. Yang Yang, Zhimin Zeng, Julian Cheng, and Caili Guo, “A Novel Hybrid Dimming Scheme for Visible Light Communication Systems,” IEEE Photonics Journals, vol. 9, no. 6, pp. (7908312) 1-13, December 2017. Liang Wu, Julian Cheng, Zaichen Zhang, Jian Dang, and Huaping Liu, “Channel Estimation for Optical-OFDM Based Multiuser MISO Visible Light Communication,” IEEE Photonics Technology Letters, vol. 29, no. 20, pp.1727-1730, October 2017. Bingcheng Zhu, Jun Yan, and Yongjin Wang, Lenan Wu, and Julian Cheng, “Asymptotically Tight Performance Bounds of Diversity Receptions Over α-µ Fading Channels With Arbitrary Correlation,” IEEE Transactions on Vehicular Technology, vol. 66, no. 9, pp.7619-7632, September 2017. Yi Luo, Qi-Yue Yu, Hong-Lin Zhao, and Julian Cheng, “Weighted Selection Combinings for Differential Decode-and-Forward Cooperative Networks,” IEEE Signal Processing Letters, vol. 24, no. 8, pp.1242-1246, August 2017. Yi Lou, Qi-Yue Yu, Hong-Lin Zhao, and Julian Cheng, “Exact BER Analysis of Selection Combining for Differential SWIPT Relaying Systems,” IEEE Signal Processing Letters, vol. 24, no. 8, pp.1198-1202, August 2017. Adebola Olutayo, Hui Ma, Julian Cheng, and Jonathan F. Holzman, “Level Crossing Rate and Average Fade Duration for the Beaulieu-Xie Fading Model,” IEEE Wireless Communications Letters, vol. 6, no. 3, pp. 326-329, June 2017. Xin Ge, Hu Jin, Jun Zhu, Julian Cheng, and Victor C.M. Leung, “Exploring Opportunistic Scheduling in Uplink Wiretap Networks,” IEEE Transactions on Vehicular Technology, vol. 66, no. 6, pp.4886-4897, June 2017. Yanjie Dong, Xin Ge, Md. Jahangir Hossain, Julian Cheng, and Victor C. M. Leung, “Proportional Fairness Based Beamforming and Signal Splitting for MISO-SWIPT Systems,” IEEE Communications Letters, vol. 21, no. 5, pp.1135-1138, May 2017. Dawei Wang, Pingyi Ren, Julian Cheng, Qinghe Du, Yichen Wang, and Li Sun, “Secure Transmission for Mixed FSO/RF Relay Networks With Physical-layer Key Encryption and Wiretap Coding,” OSA Optics Express, vol. 25, Issue 9, pp.10078-10089, May 2017. Fuhui Zhou, Zan Li, Julian Cheng, Qunwei Li, and Jiangbo Si, “Robust AN-aided Beamforming and Power Splitting Design for Secure MISO Cognitive Radio With SWIPT,” IEEE Transactions on Wireless Communications, vol. 16, no. 4, pp. 2450-2464, April 2017. Haijun Zhang, Yani Nie, Julian Cheng, Victor C. M. Leung, and Arumugam Nathanathan, “Sensing Time Optimization and Power Control for Energy Efficient Cognitive Small Cell With Imperfect Hybrid Spectrum Sensing,” IEEE Transactions on Wireless Communications, vol. 16, no. 2, pp. 730-743, February 2017. Zhaoquan Zeng, Shu Fu, Huihui Zhang, Yuhan Dong, and Julian Cheng, “A Survey of Underwater Optical Wireless Communications,” IEEE Communications Surveys & Tutorials, vol. 19, no. 1, pp. 204-238, First Quarter 2017. Haijun Zhang, Yanjie Dong, Julian Cheng, Md. Jahangir Hossain, and Victor C. M. Leung, “Fronthauling for 5G LTE-U Ultra Dense Cloud Small Cell Networks,” IEEE Wireless Communications, vol. 23, no. 6, pp. 48-53, December 2016. Yang Yang, Zhimin Zeng, Julian Cheng, and Caili Guo, “A Dimmable MIMO-OFDM Scheme for Optical OFDM Based Visible Light Communication,” OSA Optics Express, vol. 24, Issue 26, pp. 30254-30263, December 2016. Md. Zoheb Hassan, Md. Jahangir Hossain, Julian Cheng, and Victor C. M. Leung, “Effective Capacity of Coherent POLMUX OWC Impaired by Atmospheric Turbulence and Pointing Errors,” IEEE/OSA Journal of Lightwave Technology, vol. 34, no. 21, pp. 5007-5022, November 2016. Xiuhua Li, Xin Ge, X. Wang, Julian Cheng, and Victor C. M. Leung, “Energy Efficiency Optimization: Joint Antenna-subcarrier-Power Allocation in OFDM-DASs,” IEEE Transactions on Wireless Communications, vol. 15, no. 11, pp. 7470-7483, November 2016. Haijun Zhang, Hong Xing, Julian Cheng, Arumugam Nallanathan, and Victor C. M. Leung, “Secure Resource Allocation for OFDMA Relay Wireless Sensor Networks Without/With Cooperative Jamming,” IEEE Transactions on Industrial Informatics, vol. 12, no. 5, pp. 1714-1725, October 2016. Fang Fang, Haijun Zhang, Julian Cheng, and Victor C. M. Leung, “Energy-efficient Resource Allocation for Downlink Non-Orthogonal Multiple Access (NOMA) Network,” IEEE Transactions on Communications, vol. 64, no. 9, pp. 3722-3732, September 2016. Yang Yang, Zhimin Zeng, Julian Cheng, and Caili Guo, “An Enhanced DCO-OFDM Scheme for Dimming Control in Visible Light Communication Systems,” IEEE Photonics Journal, vol. 8, no. 3, pp. 1-17, June 2016. Xin Ge, Hu Jin, Xiuhua Li, Julian Cheng, Victor C. M. Leung, “On Fair Resource Sharing in Coordinated Multi-Point Systems,” IEEE Communications Letters, vol. 20, no. 6, pp. 1235-1238, June 2016. Luanxia Yang, Bingcheng Zhu, Julian Cheng, and Jonathan F. Holzman, “Free-space Optical Communications Using On-Off Keying and Source Information Transformation,” IEEE/OSA Journal of Lightwave Technology, vol. 34, no. 11, pp. 2601-2609, June 2016. Bingcheng Zhu, Julian Cheng, Naofal Al-Dhahir, and Lenan Wu, “Asymptotic Analysis and Tight Performance Bounds of Diversity Receptions Over Beckmann Fading Channels With Arbitrary Correlation,” IEEE Transactions on Communications, vol. 64, no. 5, pp. 2220-2234, May 2016. Bingcheng Zhu, Julian Cheng, Ho Ting Cheng, Radu Selea, and Lenan Wu, “An Asymptotic Study of Hierarchical Diversity Receptions Over Rician Channels With Arbitrary Correlation,” IEEE Transactions on Vehicular Technology, vol. 65, no. 5, pp. 3299-3311, May 2016. Changming Xu, Julian Cheng, and Hongming Zhang, “Performance of Subcarrier PSK Systems Using PSAM Maximum Likelihood Estimation in Turbulence Channels,” IEEE/OSA Journal of Lightwave Technology, vol. 34, no. 9, pp. 2267-2279, May 2016. Yanjie Dong, Md. Jahangir Hossain, and Julian Cheng, “Performance of Wireless Powered Amplify and Forward Relaying Over Nakagami-m Fading Channels With Nonlinear Energy Harvester,” IEEE Communications Letters, vol. 20, no. 4, pp. 672-675, April 2016. Yanjie Dong, Md. Jahangir Hossain, and Julian Cheng, “Joint Power Control and Time Switching for SWIPT Systems With Heterogeneous QoS requirements,” IEEE Communications Letters, vol. 20, no. 2, pp. 328-331, February 2016. Luanxia Yang, Xuegui Song, Julian Cheng, and Jonathan F. Holzman, “Optical Wireless Communications Over Lognormal Fading Channels Using OOK With Finite Extinction Ratios,” IEEE Access, vol. 4, pp. 574-584, 2016. Bingcheng Zhu, Fan Yang, Julian Cheng, and Lenan Wu, “Performance Bounds for Diversity Receptions Over Arbitrarily Correlated Nakagami-m Fading Channels,” IEEE Transactions on Wireless Communications, vol. 15, no. 1, pp. 699-713, January 2016. Changming Xu, Hongming Zhang, and Julian Cheng, “Effects of Haze Particles and Fog Droplets on NLOS Ultraviolet Communication Channels,” OSA Optics Express, vol. 23, Issue 18, pp. 23259-23269, September 2015. Zabih Ghassemlooy, Shlomi Arnon, Murat Uysal, Zhenyuan Xu, and Julian Cheng, “Emerging Optical Wireless Communications – Advances and Challenges,” IEEE Journal on Selected Areas in Communications, vol. 33, no. 9, pp. 1738-1749, September 2015. Bingcheng Zhu, Julian Cheng, Mohammed-Slim Alouini, and Lenan Wu, “Relay Placement for FSO Multi-Hop DF Systems With Link Obstacles and Infeasible Regions,” IEEE Transactions on Wireless Communications, vol. 14, no. 9, pp. 5240-5250, September 2015. Luanxia Yang, Julian Cheng, and Jonathan F. Holzman, “Maximum Likelihood Estimation of the Lognormal-Rician FSO Channel Model,” IEEE Photonics Technology Letters, vol. 27, no. 15, pp. 1656-1659, August 2015. Imran S. Ansari, Mohammed-Slim Alouini, and Julian Cheng, “Ergodic Capacity Analysis of Free-Space Optical Links With Nonzero Boresight Pointing Errors,” IEEE Transactions on Wireless Communications, vol. 14, no. 8, pp. 4248-4264, August 2015. Haijun Zhang, Chunxiao Jiang, Julian Cheng, and Victor C. M. Leung, “Cooperative Interference Mitigation and Handover Management for Heterogeneous Cloud Small Cell Networks,” IEEE Wireless Communications, vol. 22, no. 3, pp. 92-99, June 2015. Bingcheng Zhu, Julian Cheng, and Lenan Wu, “A Distance-Dependent Free-Space Optical Cooperative Communication System,” IEEE Communications Letters, vol. 19, no. 6, pp. 969-972, June 2015. Muhammad T. Malik, Md. Jahangir Hossain, Julian Cheng, and Mohamed-Slim Alouini, “Performance of BICM-Based SIM OWC Over Gamma-Gamma Turbulence Channels,” IEEE Communications Letters, vol. 19, pp. 731-734, May 2015. Xuegui Song, Fan Yang, Julian Cheng, Naofal Al-Dhahir, and Zhenyuan Xu, “Subcarrier Phase-shift Keying Systems With Phase Errors in Lognormal Turbulence Channels,” IEEE/OSA Journal of Lightwave Technology, vol. 33, pp. 1896-1904, May 2015. Xuegui Song, Fan Yang, Julian Cheng, and Mohamed-Slim Alouini, “Asymptotic SER Performance Comparison of MPSK and MDPSK in Wireless Fading Channels,” IEEE Wireless Communications Letters, vol. 4, pp. 18-21, Feburary2015. Xuegui Song, Fan Yang, Julian Cheng, and Mohamed-Slim Alouini, “BER of Subcarrier MPSK/MDPSK Systems in Atmospheric Turbulence,” IEEE/OSA Journal of Lightwave Technology, vol. 33, no. 1, pp. 161-170, January 2015. Ning Wang, Xuegui Song, Julian Cheng, and Victor C. M. Leung, “Enhancing Security of Free-Space Optical Communications With Secret Sharing and Key Agreement,” IEEE/OSA Journal of Optical Communications and Networking, vol. 6, pp. 1072-1081, December 2014. Trevor Allen, Julian Cheng, and Naofal Al-Dhahir, “Secure Space-Time Block Coding Without Transmitter CSI,” IEEE Wireless Communications Letters, vol. 3, pp. 573-576, December 2014. Xuegui Song, Julian Cheng, and Norman C. Beaulieu, “Asymptotic Analysis of Different Multi-Branch Diversity Receivers With Arbitrarily Correlated Rician Channels,” IEEE Transactions on Wireless Communications, vol. 13, pp. 5676-5689, October 2014. Xuegui Song, Julian Cheng, and Mohamed-Slim Alouini, “High SNR BER Comparison of Coherent and Differentially Coherent Modulation Schemes in Lognormal Fading Channels,” IEEE Communications Letters, vol. 18, pp. 1507-1510, September 2014. Qian Zhang, Julian Cheng, and George K. Karagiannidis, “Block Error Rate of Optical Wireless Communication Systems Over Atmospheric Turbulence Channels,” IET Communications, vol. 8, Iss. 5, pp. 616-625, 2014. Mingbo Niu, Julian Cheng, and Jonathan F. Holzman, “Alamouti-Type STBC for Atmospheric Optical Communication Using Coherent Detection,” IEEE Photonics Journal, vol. 6, pp. 7900217 (1-17), February 2014. Fan Yang, Julian Cheng, and Theodoros A. Tsiftsis, “Free-Space Optical Communication With Nonzero Boresight Pointing Errors,” IEEE Transactions on Communications, vol. 62, pp. 713-725, February 2014. Josh Schlenker, Julian Cheng, and Robert Schober, “Improving and Bounding Asymptotic Approximations for Diversity Combiners in Correlated Generalized Rician Fading,” IEEE Transactions on Wireless Communications, vol. 13, pp. 736-748, February 2014. Luanxia Yang, Julian Cheng, and Jonathan F. Holzman, “Performance of Convolutional Coded Subcarrier Intensity Modulation Over Gamma-Gamma Turbulence Channels,” IEEE Communications Letters, vol. 17, pp. 2332-2335, December 2013. Xuegui Song and Julian Cheng, “Subcarrier Intensity Modulated MIMO Optical Communications in Atmospheric Turbulence,” IEEE/OSA Journal of Optical Communications and Networking, vol. 5, pp. 1001-1009, September 2013. Md. Zoheb Hassan, Md. Jahangir Hossain, and Julian Cheng, “Ergodic Capacity Comparison of Optical Wireless Communications Using Adaptive Transmissions,” OSA Optics Express, vol. 21, pp. 20346-20362, August 2013. Md. Zoheb Hassan, Md. Jahangir Hossain, and Julian Cheng, “Performance of Non-Adaptive and Adaptive Subcarrier Intensity Modulations in Gamma-Gamma Turbulence,” IEEE Transactions on Communications, vol. 61, pp. 2946-2957, July 2013. Xuegui Song and Julian Cheng, “Subcarrier Intensity Modulated Optical Wireless Communications Using Noncoherent and Differentially Coherent Modulations,” IEEE/OSA Journal of Lightwave Technology, vol. 31, pp. 1906-1913, June 2013. Mingbo Niu, Julian Cheng, and Jonathan F. Holzman, “Error Rate Performance Comparison of Coherent and Subcarrier Intensity Modulated Optical Wireless Communications,” IEEE/OSA Journal of Optical Communications and Networking, vol. 5, pp. 554-564, May 2013. Mingbo Niu, Julian Cheng, and Jonathan F. Holzman, “A MIMO Architecture for Coherent Optical Wireless Communication: System Design and Performance,” IEEE/OSA Journal of Optical Communications and Networking, vol. 5, pp. 411-420, May 2013. Xuegui Song, Fan Yang, and Julian Cheng, “Subcarrier Intensity Modulated Optical Wireless Communications in Atmospheric Turbulence with Pointing Errors,” IEEE/OSA Journal of Optical Communications and Networking, vol. 5, pp. 349-358, April 2013. Xuegui Song and Julian Cheng, “Optical Communication Using Subcarrier Intensity Modulation in Strong Atmospheric Turbulence,” IEEE/OSA Journal of Lightwave Technology, vol. 30, pp. 3484-3493, November 2012. Fan Yang and Julian Cheng, “Coherent Free-Space Optical Communications in Lognormal-Rician Turbulence,” IEEE Communications Letters, vol. 16, pp. 1872-1875, November 2012. Feng Tan, Xuegui Song, Cyril Leung, and Julian Cheng, “Collaborative Spectrum Sensing in a Cognitive Radio System With Laplacian Noise,” IEEE Communications Letters, vol. 16, pp. 1691-1694, October 2012. Ning Wang, Xuegui Song, and Julian Cheng, “Generalized Method of Moment Estimation of the Nakagami-m Fading Parameter,” IEEE Transactions on Wireless Communications, vol. 11, pp. 3316-3325, September 2012. Xianchang Li and J. Cheng, “Asymptotic Error Rate Analysis of Selection Combining on Generalized Correlated Nakagami-m Channels,” IEEE Transactions on Communications, vol. 60, pp. 1765-1771, July 2012. Md. Zoheb Hassan, Xuegui Song, and Julian Cheng, “Subcarrier Intensity Modulated Wireless Optical Communications With Rectangular QAM,” IEEE/OSA Journal of Optical Communications and Networking, vol. 4, pp. 522-532, June 2012. Xuegui Song, Mingbo Niu, and Julian Cheng, “Error Rate of Subcarrier Intensity Modulations for Wireless Optical Communications,” IEEE Communications Letters, vol. 16, pp. 540-543, April 2012. Xianchang Li and Julian Cheng, “Asymptotic Error Rate Analysis of EGC Over Generalized Correlated Nakagami-m Channels,” IEEE Communications Letters, vol. 16, pp. 536-539, April 2012. Mingbo Niu, Xuegui Song, Julian Cheng, and Jonathan F. Holzman, “Performance Analysis of Coherent Wireless Optical Communications With Atmospheric Turbulence,” OSA Optics Express, vol. 20, pp. 6511-6520, March 2012. Mingbo Niu, Josh Schlenker, Julian Cheng, Jonathan F. Holzman, and Robert Schober, “Coherent Wireless Optical Communications With Predetection and Postdetection EGC Over Gamma-Gamma Atmospheric Turbulence Channels,” IEEE/OSA Journal of Optical Communications and Networking, vol. 3, pp. 860-869, November 2011. Mingbo Niu, Julian Cheng, and Jonathan F. Holzman, “M-ary Coherent Free-Space Optical Communication Systems With K-distributed Turbulence,” IEEE Transactions on Communications, vol. 59, pp. 664-668, March 2011. Zheng Du, Xuegui Song, Julian Cheng, and Norman C. Beaulieu, “Maximum Likelihood Based Channel Estimation for Macrocellular OFDM Uplinks in Dispersive Time-Varying Channels,” IEEE Transactions on Wireless Communications, vol. 10, pp. 176-187, January 2011. Mingbo Niu, Julian Cheng, and Jonathan F. Holzman, “Exact Error Rate Analysis of Equal Gain and Selection Diversity for Coherent Free-Space Optical Systems on Strong Turbulence Channels,” OSA Optics Express, vol. 18, 13915-13926, June 2010. Ning Wang and Julian Cheng, “Moment-Based Estimation for the Shape Parameters of the Gamma-Gamma Atmospheric Turbulence Model,” OSA Optics Express, vol. 18, pp. 12824-12831, June 2010. Shuo Liu, Julian Cheng, and Norman C. Beaulieu, “Asymptotic Error Analysis of Diversity Schemes on Arbitrarily Correlated Rayleigh Channels,” IEEE Transactions on Communications, vol. 58, pp. 1351-1355, May 2010. Zheng Du, Julian Cheng, and Norman C. Beaulieu, “Asymptotic Error Rate Analysis of Dual-Branch Diversity Over Correlated Rician Channels,” IEEE Transactions on Communications, vol. 56, pp. 527-530, April 2008. Zheng Du, Julian Cheng, and Norman C. Beaulieu, “BER Analysis of BPSK Signals in Ricean-Faded Cochannel Interference,” IEEE Transactions on Communications, vol. 55, pp. 1994-2001, October 2007. Zheng Du, Julian Cheng, and Norman C. Beaulieu, “Accurate Error Rate Performance Analysis of OFDM on Frequency-Selective Nakagami-m Fading Channels,” IEEE Transactions on Communications, vol. 54, pp. 319-328, February 2006. Julian Cheng and Norman C. Beaulieu, “Error Rate of Asynchronous DS-CDMA in Nakagami Fading,” IEEE Transactions on Wireless Communications, vol. 4, pp. 2674-2676, November 2005. Yi Song, Steven D. Blostein, and Julian Cheng, “Outage Probability Comparisons for Diversity Systems with Cochannel Interference in Rayleigh Fading,” IEEE Transactions on Wireless Communications, vol. 4, pp. 1279-1284, July 2005. Julian Cheng, Norman C. Beaulieu, and Xiaodi Zhang, “Precise BER Analysis of Dual-Channel Reception of QPSK in Nakagami Fading and Cochannel Interference,” IEEE Communications Letters, vol. 9, pp. 316-318, April 2005. Julian Cheng, Chintha Tellambura, and Norman C. Beaulieu, “Performance of Digital Linear Modulations on Weibull Fading Channels,” IEEE Transactions on Communications, vol. 52, pp. 1265-1268, August 2004. Norman C. Beaulieu and Julian Cheng, “Precise Error Rate Analysis of Bandwidth Efficient BPSK in Nakagami Fading and Cochannel Interference,” IEEE Transactions on Communications, vol. 52, pp. 149-158, January 2004. Yi Song, Steven D. Blostein, and Julian Cheng, “Exact Outage Probability for Equal Gain Combining With Cochannel Interference in Rayleigh Fading,” IEEE Transactions on Wireless Communications, vol. 2, pp. 865-870, September 2003. Julian Cheng and Norman C. Beaulieu, “Generalized Moment Estimators for the Nakagami Fading Parameter,” IEEE Communications Letters, vol. 6, pp. 144-146, April 2002. Julian Cheng and Norman C. Beaulieu, “Accurate DS-CDMA Bit Error Probability Calculation in Rayleigh Fading,” IEEE Transactions on Wireless Communications, vol. 1, pp. 3-15, January 2002. Julian Cheng and Norman C. Beaulieu, “Maximum-Likelihood Based Estimation of the Nakagami m Parameter,” IEEE Communications Letters, vol. 5, pp. 101-103, March 2001. Yanjie Dong, Jahangir Hossain, Julian Cheng, and Victor C. M. Leung, “Extracting the Most Weighted Throughput in UAV Empowered Wireless Systems With Nonlinear Energy Harvester,” Proceedings of the 29th Biennial Symposium on Communications (BSC), Toronto, ON, June 6-7, 2018. Chunpu Wang, Yonghui Lu, Chen Feng, and Julian Cheng, “Join-the-idle-Queue Meets the Power-of-d Choices,” Proceedings of the 29th Biennial Symposium on Communications (BSC), Toronto, ON, June 6-7, 2018. Yanjie Dong, Ahmed El Shafie, Md. Jahangir Hossain, Julian Cheng, Naofal Al-Dhahir, and Victor C. M. Leung, “Secure Beamforming in Full-Duplex SWIPT Systems With Loopback Self-Interference Cancellation,” Proceedings of IEEE International Conference on Communications (ICC), Kansas City, MO, USA May 20-24, 2018. Bingcheng Zhu, Julian Cheng, Yongjin Wang, Yi Jin, and Peng Chen, “Asymptotic Outage Probability of Dual-Branch Equal-Gain Combining Over Correlated Non-Identically Distributed Lognormal Fading Channels,” Proceedings of IEEE International Conference on Communications (ICC), Kansas City, MO, USA May 20-24, 2018. Huihui Zhang, Julian Cheng, Zhaocheng Wang, and Yuhan Dong, “On the Capacity of Buoy-Based MIMO Systems for Underwater Optical Wireless Links With Turbulence,” Proceedings of IEEE International Conference on Communications (ICC), Kansas City, MO, USA May 20-24, 2018. Huihui Zhang, Julian Cheng, and Zhaocheng Wang, “On Integrated Stochastic Channel Model for Underwater Optical Wireless Communications,” Proceedings of IEEE International Conference on Communications (ICC), Kansas City, MO, USA May 20-24, 2018. Dongming Li, Julian Cheng, and Victor C. M. Leung, “Polarization Jones Vector Distance Based Full Duplex Primary Signal Extraction for CR Networks,” Proceedings of IEEE International Conference on Communications (ICC), Kansas City, MO, USA May 20-24, 2018. Dongming Li, Julian Cheng, and Victor C. M. Leung, “An Energy-Efficient Adaptive Spectrum Sharing Scheme for Full Duplex Cognitive Radios,” Proceedings of IEEE International Conference on Communications (ICC), Kansas City, MO, USA May 20-24, 2018. Jiangbo Si, Zan Li, Tingting Wang, Julian Cheng, and Caijun Zhong, “Secrecy Performance of Incremental Relaying With Outdated CSI,” Proceedings of IEEE International Conference on Communications (ICC), Kansas City, MO, USA May 20-24, 2018. Hua Fu, Sebastien Roy, and Julian Cheng, “An Accurate Simple Approximation to the Distribution of Double-Nakagami Keyhole Channels,” Proceedings of IEEE International Conference on Computing, Networking, and Communications (ICNC), Maui, HI, Mar. 5-8, 2018. Bingcheng Zhu, Julian Cheng, Jun Yan, Jinyuan Wang, and Yongjin Wang, “VLC Positioning Using Cameras With Unknown Tilting Angles,” Proceedings of IEEE Global Communications Conference (GLOBECOM), Singapore, Dec. 4-8, 2017. Yang Yang, Zhimin Zeng, Julian Cheng, and Caili Guo, “ A Relay-Assisted OFDM System for VLC Uplink Transmission,” Proceedings of IEEE Global Communications Conference (GLOBECOM), Singapore, Dec. 4-8, 2017. Hui Ma, Julian Cheng, Xianfu Wang, and Pingming Ma, “Cooperative Jamming Aided Robust Beamforming for MISO Channels With Unknown Eavesdroppers,” Proceedings of IEEE Global Communications Conference (GLOBECOM), Singapore, Dec. 4-8, 2017. Md. Zoheb Hassan, Victor C. M. Leung, Md. Jahangir Hossain, and Julian Cheng, “Delay-QoS Aware Adaptive Resource Allocation for FSO Fronthaul Networks,” Proceedings of IEEE Global Communications Conference (GLOBECOM), Singapore, Dec. 4-8, 2017. Yanjie Dong, Md. Jahangir Hossain, Julian Cheng, and Victor C. M. Leung, “Fronthaul-Aware Group Sparse Precoding and Signal Splitting in Simultaneous Wireless Information and Power Transferring C-RAN,” Proceedings of IEEE Global Communications Conference (GLOBECOM), Singapore, Dec. 4-8, 2017. Haijun Zhang, Baobao Wang, Julian Cheng, Keping Long, and Victor Leung, “Energy-Efficient Resource Allocation in Heterogeneous Small Cell Networks With WiFi Spectrum Sharing,” Proceedings of IEEE Global Communications Conference (GLOBECOM), Singapore, Dec. 4-8, 2017. Dongming Li, Julian Cheng, and Victor C. M. Leung, “ Polarization Similarity Based Blind Polarization Adaption Technique for Cognitive Radio Network With Full-Duplex Primary Users,” Proceedings of IEEE Global Communications Conference (GLOBECOM), Singapore, Dec. 4-8, 2017. Chenjia Wei, Lingda Wang, Xiaolin Zhou, Pengfei Tian, and Julian Cheng, “Design and Analysis of an Iterative Quantum Receiver With Photon-Number-Resolving Detector,” Proceedings of The IEEE 86th Vehicular Technology Conference (VTC2017-Fall), Toronto, Canada September 24-27, 2017. Dawei Wang, Pinyi Ren, Julian Cheng, Yichen Wang, Li Sun, and Qinghe Du, “Cooperative Secure Transmission for Two-Hop Relay Networks With Limited Feedback,” Proceedings of The IEEE 86th Vehicular Technology Conference (VTC2017-Fall), Toronto, Canada September 24-27, 2017. Bingcheng Zhu, Julian Cheng, Jun Yan, Jinyuan Wang, Lenan Wu and Yongjin Wang, “A New Asymptotic Technique for Analyzing Outage Performance of Multi-Channel Lognormal Fading,” Proceedings of the 2017 Canadian Information Theory Workshop (CWIT), Quebec City, QC, Canada June 11-14, 2017. Jun Yan, Bingcheng Zhu, Genfa Zhang, and Julian Cheng, “Optimal User Node Placement for Multi-Hop FSO Broadcasting Communications Under Weak Turbulence Conditions,” Proceedings of the 2017 Canadian Information Theory Workshop (CWIT), Quebec City, QC, Canada June 11-14, 2017. Adebola Adebowale, Julian Cheng, and Jonathan F. Holzman, “ Asymptotically Tight Performance Bounds for Equal-Gain Combining Over a New Correlated Fading Channel,” Proceedings of the 2017 Canadian Information Theory Workshop (CWIT), Quebec City, QC, Canada June 11-14, 2017. Fang Fang, Haijun Zhang, Julian Cheng, and Victor C. M. Leung, “Energy-Efficient Resource Scheduling for NOMA Systems With Imperfect Channel State Information,” Proceedings of the 2017 IEEE International Conference on Communications (ICC), Paris, France, May 21-25, 2017. Adebola Olutayo, Julian Cheng, and Jonathan Holzman, “Performance Bounds for EGC Receptions Over a New (Beaulieu-Xie) Fading Model With Arbitrary Correlation,” Proceedings of the 2017 IEEE International Conference on Communications (ICC), Paris, France, May 21-25, 2017. Zhenzhen Hu, Julian Cheng, and Zhongpei Zhang, “Outage Analysis of Spectrum Sharing Multi-Antenna Multi-Relay Networks,” Proceedings of the 2017 IEEE International Conference on Communications (ICC), Paris, France, May 21-25, 2017. Fuhui Zhou, Zan Li, Norman C. Beaulieu, Julian Cheng, Yuhao Wang, “Resource Allocation in Wideband Cognitive Radio With SWIPT: Max-Min Fairness Guarantees,” Proceedings of the 2016 IEEE Global Communication Conference (GLOBECOM), Washington, DC, Dec. 4-8, 2016. Guanshan Ye, Haijun Zhang, Hao Liu, Julian Cheng, and Victor C. M. Leung, “Energy Efficient Joint User Association and Power Allocation in a Two-Tier Heterogenous Network,” Proceedings of the 2016 IEEE Global Communication Conference (GLOBECOM), Washington, DC, Dec. 4-8, 2016. Md. Zoheb Hassan, Victor C. M. Leung, Md. Jahangir Hossain, and Julian Cheng, “Statistical Delay QoS-Aware Joint Power Allocations and Relay Selection for NLOS Multi channel Coherent Optical Wireless Communications,” Proceedings of the 2016 IEEE Global Communication Conference (GLOBECOM), Washington, DC, Dec. 4-8, 2016. Haijun Zhang, Jiali Du, Julian Cheng, and Victor C. M. Leung, “Resource Allocation in SWIPT Enabled Heterogenous Cloud Small Cell Networks With Incomplete CSI,” Proceedings of the 2016 IEEE Global Communication Conference (GLOBECOM), Washington, DC, Dec. 4-8, 2016. Xin Ge, Xiuhua Li, Hu Jin, Julian Cheng, and Victor C. M. Leung, “Joint User Association and Scheduling for Load Balancing in Heterogenous Networks,” Proceedings of the 2016 IEEE Global Communication Conference (GLOBECOM), Washington, DC, Dec. 4-8, 2016. Fang Fang, Haijun Zhang, Julian Cheng, and Victor C. M. Leung, “Energy Efficiency of Resource Scheduling for Non-Orthogonal Multiple Access (NOMA) Wireless Network,” Proceedings of IEEE International Conference on Communications (ICC), Kuala Lampur, Malaysia, May 23-27, 2016. Hao Liu, Haijun Zhang, Julian Cheng, and Victor C. M. Leung, “Energy Efficient Power Allocation and Backhaul Design in Heterogeneous Small Cell Networks,” Proceedings of IEEE International Conference on Communications (ICC), Kuala Lampur, Malaysia, May 23-27, 2016. Chunxiao Jiang, Haijun Zhang, Zhu Han, Julian Cheng, Y. Ren, L. Hanzo, “On the Outage Probability of Information Sharing in Cognitive Vehicular Networks,” Proceedings of IEEE International Conference on Communications (ICC), Kuala Lampur, Malaysia, May 23-27, 2016. Md. Zoheb Hassan, Victor C. M. Leung, Md. Jahangir Hossain, and Julian Cheng, “QoS-Aware and Energy-Aware Adaptive Power Allocations for Coherent Optical Wireless Communications,” Proceedings of IEEE International Conference on Communications (ICC), Kuala Lampur, Malaysia, May 23-27, 2016. Md. Zoheb Hasan, Victor C. M. Leung, Md. Jahangir Hossain, and Julian Cheng, “QoS-Aware Joint Power Allocation and Relay Selection for NLOS Coherent Optical Wireless Communications,” Proceedings of IEEE International Conference on Communications (ICC), Kuala Lampur, Malaysia, May 23-27, 2016. Bingcheng Zhu, Julian Cheng, and Lenan Wu, “Performance of Improved Adaptive Decode-and-Forward Over Free-Space Optical Lognormal Fading Channels,” Proceedings of IEEE 83rd Vechicular Technology Conference: VTC2016-Spring, Nanjing, China, May 15-18, 2016. Changming Xu, Hongming. Zhang, and Julian Cheng, “Subcarrier M-ary PSK Systems Using PSAM and Maximum-Likelihood Estimation in Lognormal Turbulence Channels,” Proceedings of IEEE 83rd Vechicular Technology Conference: VTC2016-Spring, Nanjing, China, May 15-18, 2016. Haijun Zhang, Yani Nie, Julian Cheng, Victor C. M. Leung, and Arumugam Nallanathan, “Hybrid Spectrum Sensing Based Power Control for Energy Efficient Cognitive Small Cell Network,” Proceedings of IEEE Global Communications Conference (GLOBECOM), San Diego, CA, Dec. 6-10, 2015. Md. Zoheb Hassan, Victor C. M. Leung, Md. Jahangir Hossain, and Julian Cheng, “Effective Capacity Performance of Coherent POLMUX OWC With Power Adaptation,” Proceedings of IEEE Global Communications Conference (GLOBECOM), San Diego, CA, Dec. 6-10, 2015. Bingcheng Zhu, Julian Cheng, Naofal Al-Dhahir, and Lenan Wu, “Error Rate Bounds for Equal-Gain Combining Over Arbitrarily Correlated Rician Channels,” Proceedings of IEEE Global Communications Conference (GLOBECOM), San Diego, CA, Dec. 6-10, 2015. Yanjie Dong, Haijun Zhang, Md. Jahangir Hossain, Julian Cheng, and Victor C. M. Leung, “Full Duplex Distributed Antenna Systems With Energy Harvesting,” Proceedings of IEEE Global Communications Conference (GLOBECOM), San Diego, CA, Dec. 6-10, 2015. Samy S. Soliman, Victor C. M. Leung, Norman C. Beaulieu, and Julian Cheng, “Analysis of General Dual-Hop AF Systems Over Rician Fading Links,” Proceedings of IEEE Global Communications Conference (GLOBECOM), San Diego, CA, Dec. 6-10, 2015. Bingcheng Zhu, Julian Cheng, Naofal Al-Dhahir, and Lenan Wu, “Asymptotically Tight Error Rate Bounds for Diversity Receptions Over Arbitrarily Correlated Rician Channels,” Proceedings of 2015 IEEE Wireless Communications and Networking Conference (WCNC), New Orleans, LA, Mar. 9-12, 2015. Xuegui Song, Fan Yang, Julian Cheng, and Mohamed-Slim Alouini, “Subcarrier MPSK/MDPSK Modulated Optical Wireless Communications in Lognormal Turbulence,” Proceedings of 2015 IEEE Wireless Communications and Networking Conference (WCNC), New Orleans, LA, Mar. 9-12, 2015. Bingcheng Zhu, Julian Cheng, Ho Ting Cheng, Radu Selea, and Lenan Wu, “Performance of Hierarchical Diversity Over Correlated Rician Channels,” Proceedings of IEEE Global Communications Conference (GLOBECOM), Austin, TX, Dec. 8-12, 2014. Bingcheng Zhu, Julian Cheng, and Lenan Wu, “Optimal FSO Relay Nodes Replacement With Link Obstacles and Infeasible Regions,” Proceedings of IEEE Global Communications Conference (GLOBECOM), Austin, TX, Dec. 8-12, 2014. Ning Wang, Xuegui Song, Julian Cheng, and Victor C.M. Leung, “Secret Key Agreement for Free-Space Optical Communications Over Strong Turbulence Channels,” Proceedings of IEEE Global Communications Conference (GLOBECOM), Austin, TX, Dec. 8-12, 2014. Hailiang Xiong and Julian Cheng, “Investigation of Short-Range High Precision 3D Localization via UWB Radio,” Proceedings of IEEE Global Communications Conference (GLOBECOM), Austin, TX, Dec. 8-12, 2014. Imran Shafique Ansari, Mohamed-Slim Alouini, and Julian Cheng, “On the Capacity of FSO Links Under Log-Normal Turbulence,” Proceedings of the 2014 IEEE 80th Vehicular Technology Conference (VTC-Fall), Vancouver, BC, Canada, September 14-17, 2014. Xuegui Song and Julian Cheng, “Quantifying the Accuracy of High SNR BER Approximation of MPSK and MDPSK in Fading Channels,” Proceedings of the 27th Queen’s Biennial Symposium on Communications (QBSC), Kingston, ON, Canada, June 1-3, 2014. Xuegui Song, Julian Cheng, and Mohamed-Slim Alouini, “BER of Subcarrier MPSK/MDPSK Modulated OWC Systems in Gamma-Gamma Turbulence’’ Proceedings of the 2013 Global Communications Conference (GLOBECOM), Workshop on Optical Wireless Communications, Atlanta, GA, December 9, 2013. Luanxia Yang, Julian Cheng, and Jonathan F. Holzman, “Optical Communications Over Lognormal Fading Channels Using OOK” Proceedings of the Second International Workshop on Optical Wireless Communications (IWOW), Newcastle Upon Tyne, UK, October 21, 2013. Xuegui Song and Julian Cheng, “Subcarrier Noncoherent and Differentially Coherent Modulated Optical Communications in Strong Atmospheric Turbulence” Proceedings of the Second International Workshop on Optical Wireless Communications (IWOW), Newcastle Upon Tyne, UK, October 21, 2013. Mingbo Niu, Julian Cheng, and Jonathan H. Holzman, “Optical Communication Using Coherent Detection with Space-Time Coding in the Presence of Atmospheric Turbulence,” Proceedings of the Canadian Workshop on Information Theory (CWIT), Toronto, ON, June 18-21, 2013. Md. Zoheb Hassan, Md. Jahangir Hossain, and Julian Cheng, “Performance of Adaptive MIMO Subcarrier QAM Intensity Modulation in Gamma-Gamma Turbulence,” Proceedings of the Canadian Workshop on Information Theory (CWIT), Toronto, ON, June 18-21, 2013. Luanxia Yang, Julian Cheng, and Jonathan F. Holzman, “Electrical-SNR-Optimized Detection Threshold for OOK IM/DD Optical Wireless Communications,” Proceedings of the Canadian Workshop on Information Theory (CWIT), Toronto, ON, June 18-21, 2013. Xuegui Song, Julian Cheng, and Norman C. Beaulieu, “Asymptotic Error Rate Analysis of H-S/EGC Over Arbitrarily Correlated Rician Channels,” Proceedings of the Canadian Workshop on Information Theory (CWIT), Toronto, ON, June 18-21, 2013. Xuegui Song and Julian Cheng, “Asymptotic Analysis of GSC Over Arbitrarily Correlated Rician Channels,” Proceedings of the Wireless and Optical Communication Conference (WOCC), Chongqing, China, May 16-18, 2013. Md. Zoheb Hassan, Md. Jahangir Hossain, and Julian Cheng, “Ergodic Capacity of Coherent Optical Wireless Communications in Gamma-Gamma Turbulence,” Proceedings of the Wireless and Optical Communication Conference (WOCC), Chongqing, China, May 16-18, 2013. Fan Yang, Julian Cheng, and Theodoros A. Tsiftsis, “Free-Space Optical Communications With Generalized Pointing Errors,” Proceedings of the IEEE International Conference on Communications (ICC), Budapest, Hungary, June 9-13, 2013. Md. Zoheb Hassan, Md. Jahangir Hossain, and Julian Cheng, “Performance of Adaptive Subcarrier QAM Intensity Modulation in Gamma-Gamma Turbulence,” Proceedings of the IEEE International Conference on Communications (ICC), Budapest, Hungary, June 9-13, 2013. Josh Schlenker, Julian Cheng, and Robert Schober, “Asymptotically Tight Error Rate Bounds for EGC in Correlated Generalized Rician Fading,” Proceedings of the IEEE International Conference on Communications (ICC), Budapest, Hungary, June 9-13, 2013. Mingbo Niu, Julian Cheng, Jonathan F. Holzman, “Space-Time Coded MPSK Coherent MIMO FSO Systems in Gamma-Gamma Turbulence,” Proceedings of the IEEE Wireless Communications and Networking Conference (WCNC), Shanghai, China, Apr. 7-10, 2013. Xuegui Song, Fan Yang, and Julian Cheng, “Subcarrier BPSK Modulated FSO Communications With Pointing Errors,” Proceedings of the IEEE Wireless Communications and Networking Conference (WCNC), Shanghai, China, Apr. 7-10, 2013. Zhiwei Mao, Julian Cheng, and Jian Shen, “A New Lower Bound on Error Probability for Nonuniform Signals Over AWGN Channels,”Proceedings of the IEEE Wireless Communications and Networking Conference (WCNC), Shanghai, China, Apr. 7-10, 2013. Luanxia Yang, Julian Cheng, and Jonathan F. Holzman, “Performance of Convolutional Coded OOK IM/DD Systems Over Strong Turbulence Channels,” Proceedings of the International Conference on Computing, Networking and Communications (ICNC), Workshop on Computing, Networking and Communications. San Diego, Jan. 28-31, 2013. Xuegui Song and Julian Cheng, “Alamouti-Type STBC for Subcarrier Intensity Modulated Wireless Optical Communications,” Proceedings of the IEEE Global Telecommunications Conference (GLOBECOM), Anaheim, CA, Dec. 3-7, 2012. Md. Zoheb Hassan, Xuegui Song, and Julian Cheng, “Error Rate Analysis of Subcarrier Intensity Modulation Using Rectangular QAM in Gamma-Gamma Turbulence,” Proceedings of the IEEE Global Telecommunications Conference (GLOBECOM), Anaheim, CA, Dec. 3-7, 2012. Xuegui Song and Julian Cheng, “Subcarrier Intensity Modulated Optical Communications in Strong Atmospheric Turbulence,” Proceedings of the IEEE International Conference on Communications in China (ICCC), Beijing, China, August 15-18, 2012. Xuegui Song and Julian Cheng, “Subcarrier Intensity Modulated Optical Communications Over K-Distributed Channels,” Proceedings of the 2012 Photonics Society Summer Topical Meetings, Seattle, WA, July 9-11, 2012. Mingbo Niu, Julian Cheng, and Jonathan F. Holzman, “Optical MIMO Transmission Using a Heterodyne Receiver in K-Distributed Turbulence Channels,” Proceedings of the 2012 IEEE Photonics Society Summer Topical Meetings, Seattle, WA, July 9-11, 2012. Xuegui Song and Julian Cheng, “Performance of Subcarrier Intensity Modulated MIMO Wireless Optical Communications,” Proceedings of the 26th Queen’s Biennial Symposium on Communications (QBSC), Kingston, ON, Canada, May 28-29, 2012. Mingbo Niu, Julian Cheng, and Jonathan F. Holzman, “Wireless Multiple-Input Single-Output Optical Links with Coherent Detection,” Proceedings of the 26th Queen’s Biennial Symposium on Communications (QBSC), Kingston, ON, Canada, May 28-29, 2012. July 17, 2018 Dr. Cheng was invited as a Distinguished Keynote Speaker at CommNet’ 2019 in Rabat, Morocco, Apr. 12-14, 2019. The title of the talk will be “80 Years of Research on Sum of Lognormal Random Variables: Recent Breakthroughs and Applications in Wireless Communications”. June 6, 2018 Congratulations to Hui Ma for winning the inaugural Canadian Society of Information Theory (CSIT) Annual Paper Award at Biennial Symposium on Communications (BSC) in Toronto, ON, June 6-7, 2018. May 22, 2018 Dr. Cheng will co-chair the 2020 Communication Theory Workshop (CTW) in Banff, Alberta. This is the first time that this prestigious workshop will be held in Canada. Apr. 10, 2018 Dr. Cheng was invited to give a talk at Guangzhou International Lighting Exhibition, which is the most influential and comprehensive Lighting and LED event in Asia with estimated 2,400 exhibitors and 50,000-200,000 visitors. Mar. 21, 2018 Dr. Cheng was invited to co-chair the Optical and Grid Computing Symposium at the International Conference on Computing, Networking and Communications (ICNC 2019) Honolulu, Hawaii, USA. Feb. 15, 2018 In a February paper published in IEEE Transactions on Communications, we reported a new elegant and highly accurate (possibly the best) approximation to the distribution function of lognormal sum, which finds applications in many science and engineering disciplines. Feb. 1, 2018 Dr. Cheng was appointed to be an Area Editor in “Communication Theory and Systems I” for IEEE Transactions on Communications (TCOM), which was launched in 1953 and is best known for publishing high quality research results in telecommunications. Dec. 11, 2017 Miss Fang Fang successfully defended her PhD thesis on Resource Allocation for NOMA Networks. She will subsequently join Professor Zhiguo Ding’s group in UK as a Postdoctoral Fellow. Congratulations Fang! Dec. 1, 2017 Our new invention Angle of Difference of Arrival (ADOA) was published in IEEE Journal on Selected Areas in Communications (JSAC). In this paper, we developed the theory for ADOA and experimentally showed that it is possible to achieve indoor positioning accuracy of less than 5 cm using an LED array and a smart phone camera with arbitrary tilting angles. Sep. 19, 2017 Dr. Cheng will co-chair the Wireless Communications Symposium at IEEE International Conference on Communications (ICC 2019) in Shanghai, China. July 10, 2017 Dr. Cheng was appointed to be a High-level Visiting Scientist in International Guest Academic Talents (IGAT) Base on Information Network System Architecture and Convergence at Beijing University Posts & Telecommunications (BUPT), which was ranked No. 1 in Telecommunication Engineering by Academic Ranking of World Universities (ARWU) in 2017. July 2, 2017 Dr. Cheng gave an invited talk on indoor location using visible light at International Conference on Optical Wireless Communications (sponsored by Project 973) in Beijing, China. June 30, 2017 Dr. Cheng was invited to deliver an optical wireless communication short course at VNIT, Nagpur, India under the Global Initiative of Academic Networks (GIAN) program, Government of India. June 13, 2017 Dr. Cheng was elected at CWIT 2017 in Quebec City to become the President of Canadian Society of Information Theory (CSIT). May 29, 2017, Dr. Cheng won the competition of Department of National Defense (DND) and NSERC Discovery Grant Supplement for $40,000 per year for three years. Only 20 such awards were given in this round of national competition. April 20, 2017 Dr. Cheng successfully renewed his NSERC Discovery Grant for $47,000 per year for five years. Sept. 23, 2016 Dr. Cheng was invited, among four UBC professors, to attend a welcome banquet for Premier Li Keqiang and his wife Mme. Cheng Hong in Montreal, Canada. July 16, 2016 Dr. Cheng was interviewed by the Science Section of the New York Times to comment on Facebook’s latest light-based wireless communication technology. June 5, 2016 Dr. Cheng co-chaired the 2018 Biennial Symposium on Communication (BSC) in Kelowna, BC. This is the first time that BSC was held ouside the the Queen’s University campus since its inception in 1962.